I am a big fan of locally-made products, and one of my newest favorites is Snoe. I have a very long list of wants from Snoe and it’s getting bigger as they keep releasing new and interesting products. 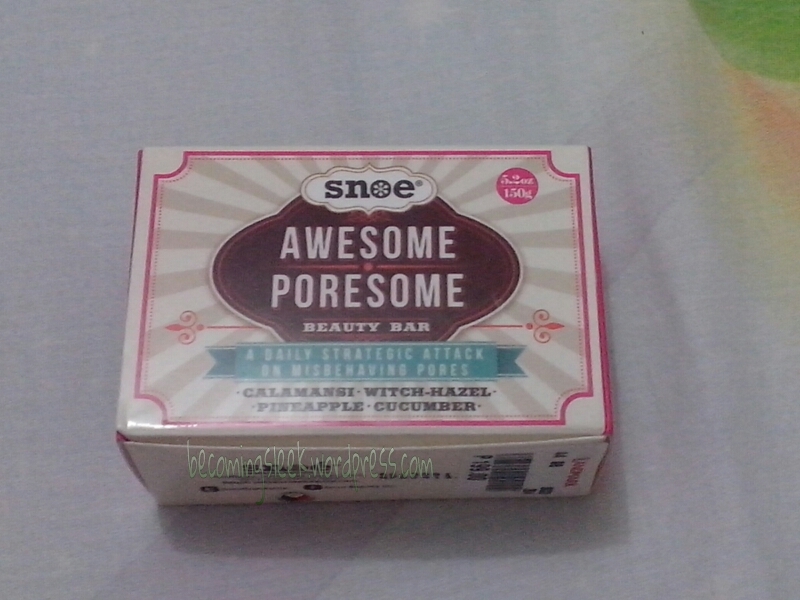 In my haul last month, I bought two Snoe products and one of them is this Awesome Poresome Beauty Bar. 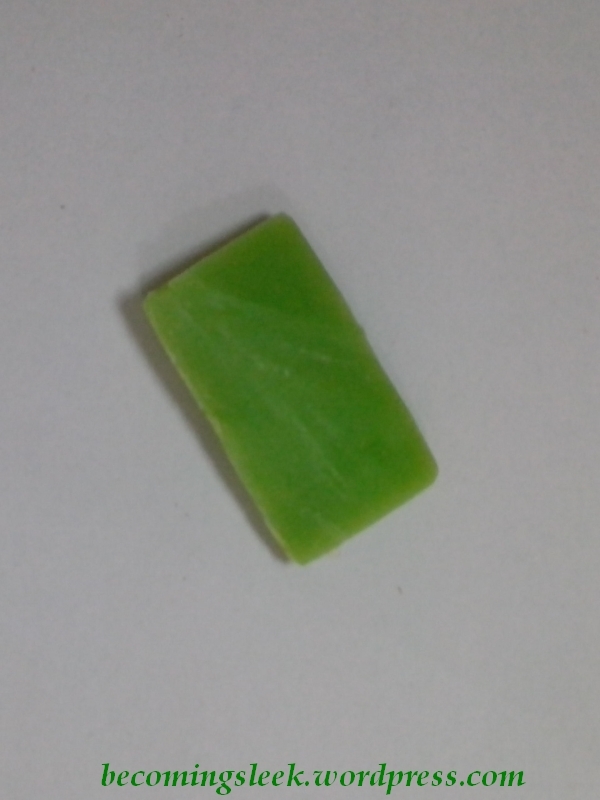 According to their online store, “Awesome Poresome Beauty Bar dissolves excess oil, dirt and impurities. It will lift away dead skin cells, leaving skin clean, nourished, and fresh. Use it daily to help eliminate blemishes, prevent new breakouts, and maximize penetration of powerful pore minimizing ingredients of other Awesome Poresome products.” As you well know, we cannot really make our pores disappear. We can but reduce them slightly with products such as this, or conceal them with makeup. This review will let you know how this product fared with me. The Awesome Poresome Beauty Bar comes in this nice box. I bought this at the Snoe stall in Trinoma, and costs Php199 for a huge 150-gram bar. The main ingredients at work here are calamansi, witch hazel, pineapple, and cucumber, all working towards deep cleansing the face especially the pores. This is a bit more manageable, and the product is not wasted through melting. I’ve been using my first mini-bar twice a day, 5-6 days per week, for a month and I have yet to use it up. This is such a great investment, and I expect to have about ten months worth of use out of this purchase. How about the performance? As I mentioned above, I don’t expect this to reduce my pores significantly. However as a facial cleanser it works quite well, and leaves an almost squeaky clean feel after use. It lathers up nicely with just a bit of water, and it feels cooling on the face. My pores feel refreshed and cleaned of any residual makeup. 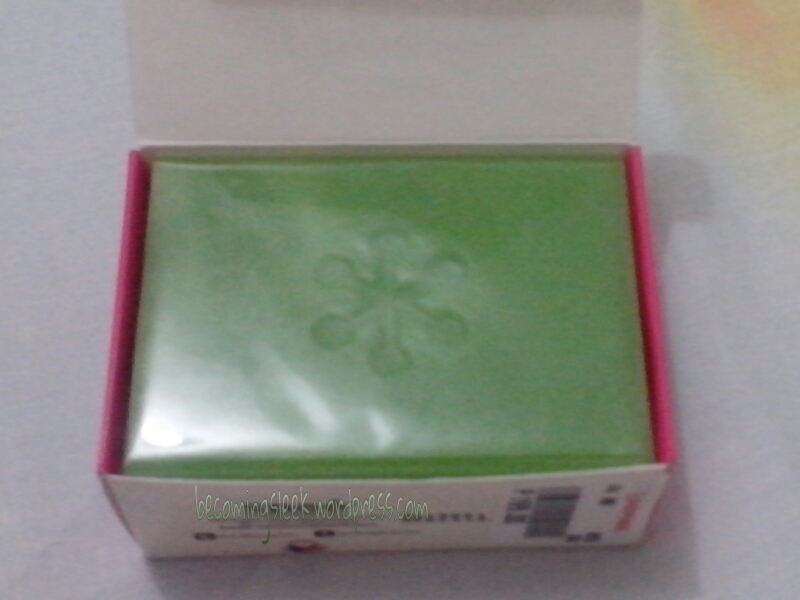 As a bonus, it has a clean calamansi scent that only adds to the feeling of freshness. Is it translucent? I love translucent soap! Though I would hesitate about the calamansi as I think it’s irritating on dry skin. Only slightly translucent. I have sensitive skin instead of dry, so I cannot really comment on that. 😛 But it’s pretty gentle.